Find your next insta-worthy outfit! Budget shopping is easy to do, but so many people are not doing some KEY things to help them save money while shopping! So I created this guide with five simple rules to help guide you to become a better budget shopper and save that money! I find shopping (specifically for clothes/shoes/accessories!) to be a celebration of A. our bodies, B. our confidence, and C. our freedom to spend our hard earned money! It’s also a TOTAL bonding experience. Whether you’re shopping at the mall with your girlfriends, texting your friends from the dressing room for an opinion on which top looks better on you, or commenting on Instagram that you love somebody’s outfit- us girls are social beings who love to uplift each other. And sorry not sorry that shopping is one of the many ways we do that! I can definitely thank my mom for getting me into the thrill of bargain hunting. Some of my favorite memories with her (and we still do this to this day!) are digging through the clearance racks at a department store or Marshall’s and finding something “SO CUTE” for only $6.99. It was so fun for both of us, and still one of my favorite mother-daughter bonding activities that we do! Over the years, and with the burgeoning of online shopping, I have definitely honed my bargain-hunting skills. And I want to empower other girls to do the same! We gotta strike that balance of treating ourselves to a great outfit every once in awhile, but also being financially responsible and saving for things like a family, a house, that online business you’ve been wanting to start, diversifying your investment portfolio, etc etc! Sky’s the limit ladies, but let’s run the world in great outfits! LOL! But hey, you can learn something from the Karens of the world! If something is on sale and the cashier is ringing you up full price, don’t be afraid to speak up and say something! Otherwise you’re just throwing money out the window. Also don’t be afraid to bust out your coupons or your phone with coupon codes, or ask if the person ringing you up knows of any coupon codes that can be applied to your purchase! Another technique (if you’re really here for the bargain) my mom used to do— at TJ Maxx and Marshall’s if something is a little stained, or missing a button, or a little ripped (things you can easily fix when you take it home) ask for them to knock the price down! 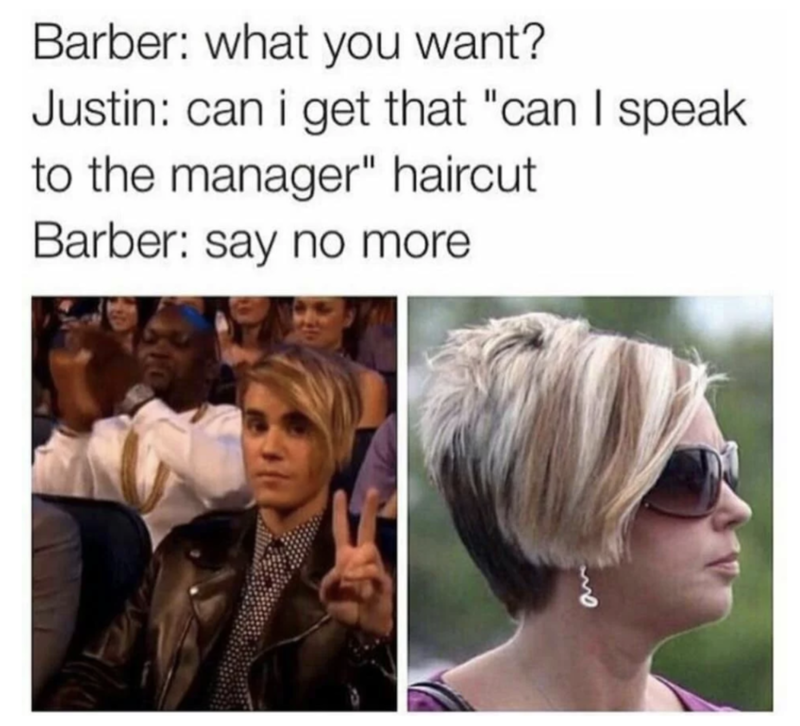 And if they won’t … wait for it… ask to speak to the manager! JK, only if you want to. But honestly it could save you some money! The answer is always going to be no if you don’t ask! Rule #2. Get A Rebate! EBATES.COM PEOPLE. If you’re not using it, you’re losing it (it being MONEY). Ebates will literally give you cash back on purchases you’re already making online at no additional cost to you! Your cash back comes in the form of a “big fat check” (as they like to call it!) that they will mail to you if you have at least $5 in your account when the payout period rolls around. The check only comes four times per year. There are a few ways to ensure that you get cash back. If you shop on your computer, you can either start out at the Ebates website (make sure you’re logged in!) and click through any websites or deals that look appealing and your rebate will be activated upon purchase. If you’re super forgetful like me, you can add the “Ebates Cash Back Button” as an extension of your browser! Now, when you’re just shopping as usual, you’ll get a little notification/pop up in the corner of your screen with a button that says “Activate for x% cash back” ! And then you’re good to go and the cash back will be rewarded to your account upon purchase! If you’re more of a mobile shopper, you can download the app! Works the same as the website, just click through a store or deal you like and viola! You’ll be redirected to the site and you can make your purchase as usual and earn cash back! For real, Ebates makes it so easy, and if you’re spending the money anyway, you might as well get some money back! It’s like a mini-tax return four times per year, but you’re guaranteed not to owe anything! More often than not, there is a coupon code to be had or a sale happening when you are shopping anywhere! Always keep this in mind when you are shopping! For me, it’s become second nature. If I am about to purchase something, I make sure that I look up if there is a coupon code or a sale going on! There are a few ways to find this out. Most obvious- if you are physically in the store you can ask someone that works there! I’m not going to lie, sometimes they don’t know! So I always have my phone with me so I can look on my apps or google to see if they have a coupon code or an ongoing sale. #1 - Honey : This is hands down the best website/app for saving money if you shop on your computer. It knows pretty much every coupon code that could possibly work on your purchase and will apply it at check-out. All you have to do is add it on as an extension of your browser. I have saved so much money using this app! They just very recently launched their mobile app and there is a waitlist to join, but I would imagine it will also be a great way to save money for people who prefer to mobile shop. Per their website, the app will allow you to shop all your favorite stores in one place and will work just like their desktop/laptop version and automatically apply coupon codes. It will totally eradicate the need for googling or using any other shopping apps on your phone. Aside from coupon codes, you can also add products you’ve been eyeing from many major retailers to your “Droplist”. Honey will then keep track of the price of this item and let you know the best time to buy when the price drops! This way you avoid that annoyance of paying for something full price, just to discover it was 50% off the next day! Lastly, they do act a bit like Ebates with their “Honey Gold” feature. You earn points with every purchase made when you utilize Honey at checkout. These points add up and you can cash them in for gift cards (not cash, sorry)! I legit just cashed in my points for a $10 gift card to Amazon! Pretty great! #2 - Retail Me Not If you don’t have Honey or prefer to do things manually, Retail Me Not is a great site/app to search for coupon codes! The nice thing about Retail Me Not is that they list out all potential coupon codes or current sales and you can reveal the code to copy or just click through from their site to automatically apply it to your purchase. They are very upfront about the fact that not all coupon codes will work! They even have users vote on whether or not the coupon code worked and so you’ll get a pretty good idea the success rate of certain codes. #3 - Shopular - Shopular is actually powered by Ebates and it’s another way to access your Ebates account/cash back on your phone BUT more importantly it shares daily deals/coupon codes in a newsfeed on your screen that is curated by you! You choose the stores where you would regularly like to know the current deals, and that is all that will populate on your screen! #4 - Instagram - Yes Instagram! Shameless plug here, but if you want to stay updated on daily coupon codes and sales for women’s clothing specifically, follow me on Instagram @champagnetaste_blog and follow my stories! I post sales and coupon codes on a daily basis! I have a bit more variety than Shopular because I include additional stores that I shop at! I include some big names like you would find on Shopular, but also other unique/affordable online stores are also included in my list! It’s quick, easy to digest, and if you’re on Instagram anyway, it’s a nice way to stay informed without going out of your way! 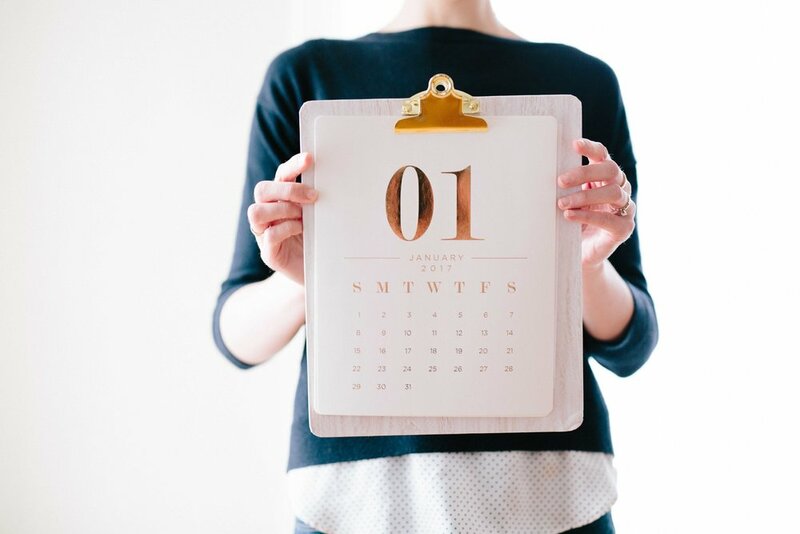 According to NerdWallet.com, there are particular times of the year when certain items are cheaper to buy! For example, winter apparel is cheapest in February because the season is ending and stores are trying to clear out their inventory to make way for Spring items. It’s also good to know when major holidays are, because this means SALES. So if you were eyeing a super cute winter coat all season, your best bet may be to wait until President’s Day for the ultimate low price! It’s the end of the winter season, and likely a great sale happening on the holiday to save you $$. I pulled from their article just information pertaining to clothing/women’s fashion! For all products throughout the year, check out their full article here! I also put in major annual/semi annual sales from popular retailers that are good to know about ahead of time! BEST DAYS TO BUY: Father’s Day…. man those two do NOT go hand-in-hand! LOL! BEST DAYS TO BUY: Labor Day! BEST DAYS TO BUY: the beginning of December you’ll get spillover from Black Friday/Cyber Monday deals, the entire month is pretty much abundant with sales because: Christmas! I suppose this is obvious, but seriously, creating some sort of budget or allowance for your shopping really helps to make sure your shop-a-holic self doesn’t go totally overboard. Different things work for different people of course, and I’m certainly not a financial planning expert, but here are a few simple ideas that you can use to start being more mindful with your shopping budget! The 50/30/20 Rule - It’s a pretty straightforward way to budget your money, where 50% of your income should go towards your NEEDS (rent/mortgage, groceries, gas, insurance, etc), 30% should go to your WANTS (shopping!! !, dining out, gifts, hobbies, etc), and 20% should go to your SAVINGS! It is kind of nice to give yourself a set number per month that you should be spending on these things. This is a very well-known and talked about concept so they even have 50/30/20 calculators! You can put your income in and determine how much you should spend on each category! Definitely a great way to stay mindful and make sure your shopping habit doesn’t become a total runaway train! Use an app! - Using an app to help you budget/save money is definitely a great option for those of us who are little more mindless when it comes to our spending and saving. Or those of us who just don’t have the time or discipline to do this on our own! Guilty on all accounts myself! But I will not let my personality flaws get in the way of me being able to shop! SO I use an app! 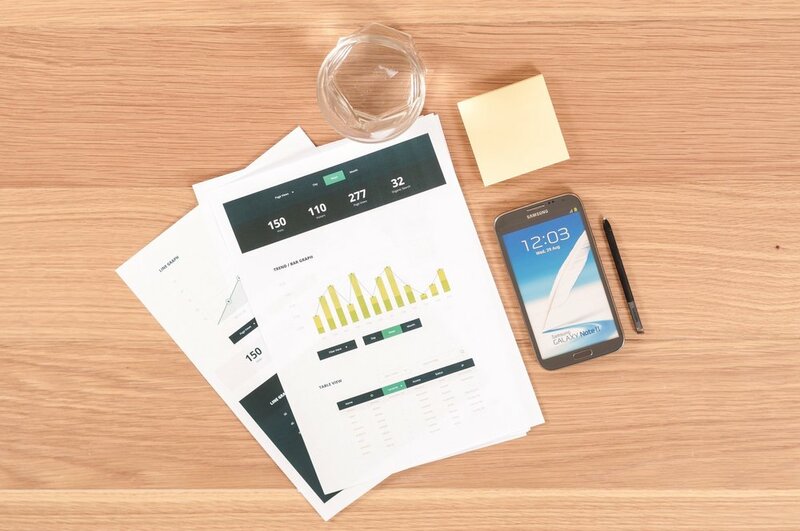 There are TONS of apps out there and, again, I am not a financial planning expert, so I am only going to recommend one that I personally use! It’s called Digit, and it is amazing! They take the thinking out of the equation for you and save money based on your spending habits, recurring payments, and income! They save the perfect/safest amount on a daily basis, and your savings account with Digit grows and grows without you even having to think about it! You can designate different goals/categories for the money to be spread between (vacations, a designer bag, down payment on a house, etc), or just one category for saving in general. I keep it simple at just one, and pull from it for all my shopping! The other awesome thing about Digit is that you can opt in for daily text messages where they tell you what your checking balance is, what the difference is between today and yesterday, and you can even inquire why there was a change from day to day and they will provide you with your most recent purchases/withdrawals/deposits. I believe this daily check-in in itself is great to keep you mindful about where you’re at financially. If you have less money in your account than you thought, then maybe you’ll wait until those great shoes you’ve been eyeing go on sale instead of paying full price for them today. If you’re interested, you can sign up here (this is another referral link! If you sign up through this link you’ll get $5 added to your account for signing up! I will also get $5. Full disclosure! But also if you sign up and YOU refer YOUR friends you get $5 per friend that signs up and makes their first savings transfer!) Another thing I want to disclose is when you first sign up, it is a free 30 day trial, and then after that it is $2.99 per month! I think it’s worth the $2.99 since Digit saves me the hassle of figuring out how much to put aside, but if you decided it’s not for you after you sign up, just make sure to cancel your account before that 30 days is up! I’m not going to lie, I only ever downloaded this app because they were running a promotion where if you signed up and then referred 3 friends, they gave you $100 ! (I don’t believe this is the case anymore, I believe now it is $25 for 5 referrals... don’t quote me on that) So I found 3 friends to sign up, got my $100 (which was awesome!) and moved that $100 to my account and then totally forgot I even had the app! A few months later I saw the icon on my phone and was like, hmm I should probably cancel my account…. and then found that I had about $600 dollars saved ! I was very impressed! Because I saved $600 without even thinking about it! I thought to myself this could totally be my fun/shopping money, and stuck with it! I hope all of these tips help you become a savvy shopper who embraces her unique style and feels confident without breaking the bank! Comment below with any other tips/suggestions you would like to add! hi i’m katie, here to share all my affordable fashion finds! click around for some outfit inspo, places to shop, and more!